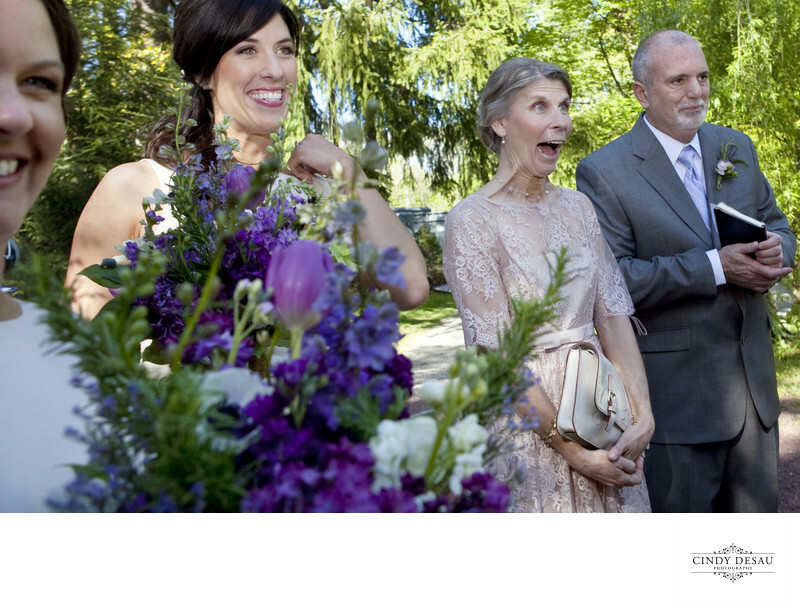 Immediately following the ceremony is a great time for candid, expressive and emotional wedding photography. This mother of the bride screamed when she greeted her daughter, making for one of those moments I love to capture. The bride’s brother, who performed the ceremony, looks a bit more reserved.